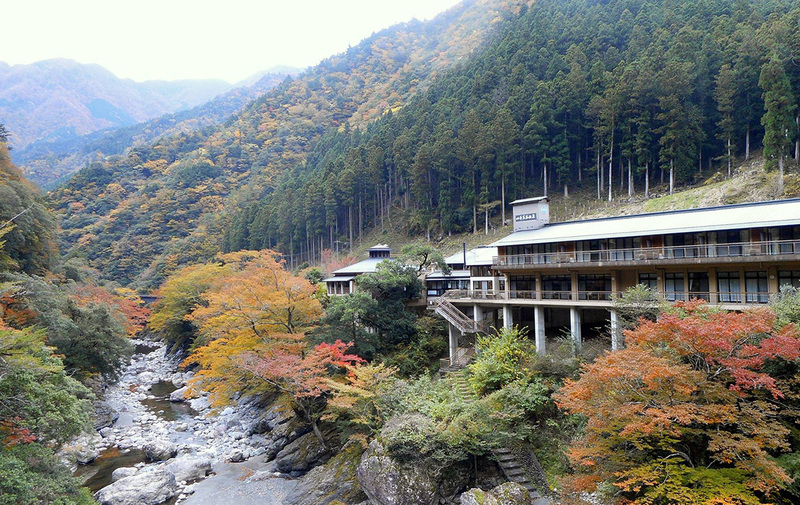 This onsen lodge is located deep inside a mountain forest, around 2 and a half hours away by car from JR Tokushima Station. It is popular for its gibier or wild game cuisine. 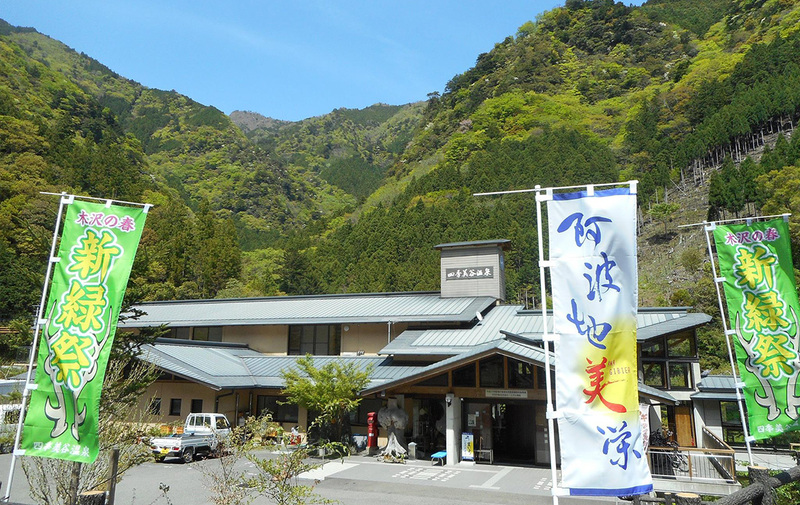 The famous onsen has a long history and is renowned as a “hot spring for beauty” for its smoothening effect on the skin. 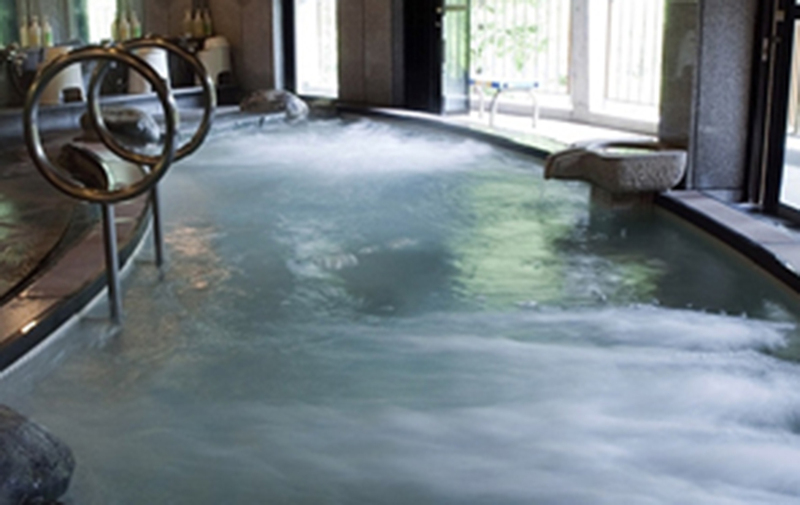 The simple sulfur spring with a pH of 9.2 will exfoliate your skin and warm your body to the core. The communal bath has large windows that offer a view of the untouched nature sprawling outside. There is also a balcony where you can cool down after a bath, take a deep breath of the fresh air, and admire the seasonal scenery. 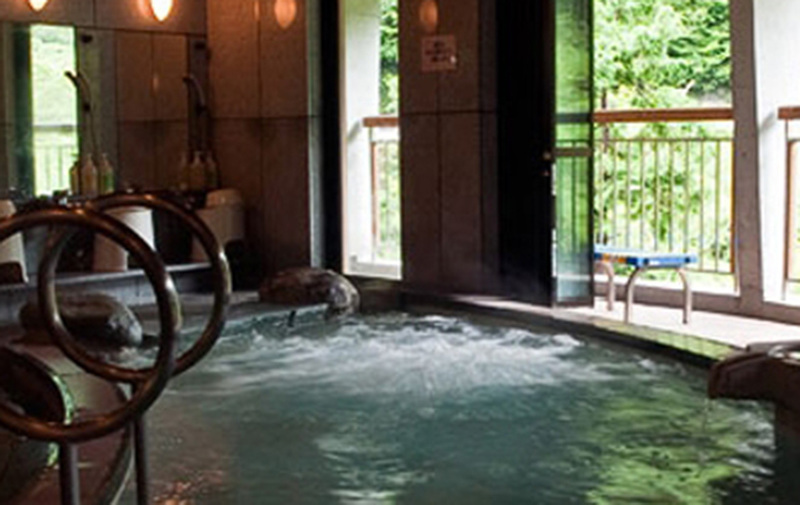 The lodge has 9 guest rooms, 2 of which are “barrier-free” accessible rooms. 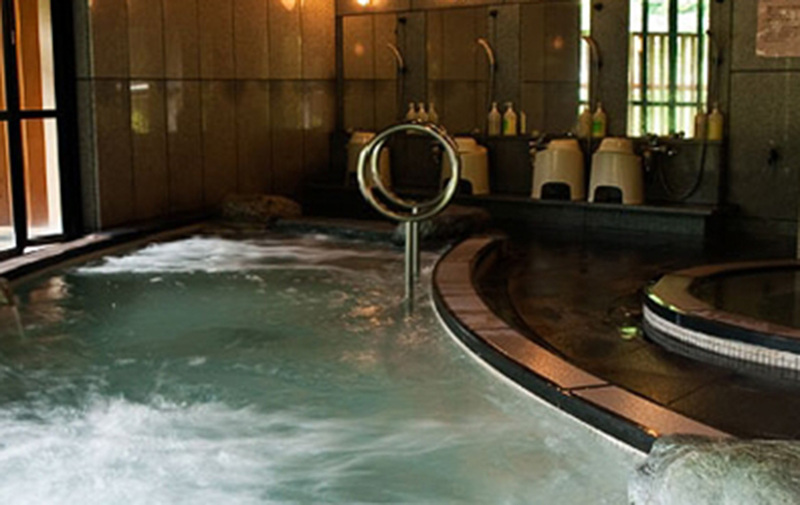 The attached bathrooms are supplied with same spring water from the onsen, so you can enjoy an onsen bath in the privacy of your room. For meals, you can enjoy “Awa region game dishes” which features dishes of savory venison, amego trout, wild vegetables, and other ingredients found only in this region. The “Shiki no Mori” restaurant offers a la carte dishes, set meals, and even kaiseki course meals made according to your budget (advance reservation required). The lodge accepts day trip visitors, so it’s a convenient place to stop by during a road trip or a mountain climbing expedition. 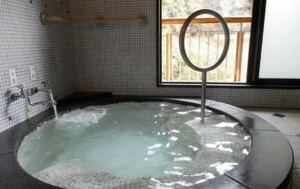 You can enjoy a relaxing retreat with the famous hot springs, the beautiful valley scenery, and the delicious dishes. ※Kaiseki course meals available for reservation from 3 days before.